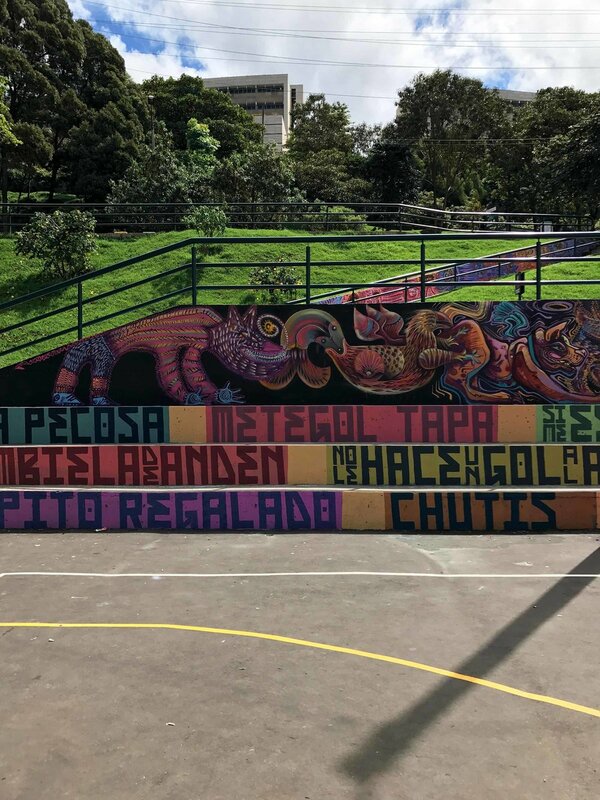 Tour Bogota's Graffiti & Street Art in 21 Photos — Sapphire & Elm Travel Co.
With each passing year, Colombia is shedding its negative reputation and replacing it with notions of art, culture, innovation, history and nature that should not be missed - for instance, the many museums in Medellín, the UNESCO protected old city of Cartagena, and Tayrona, one of the world’s most beautiful national parks. If you know someone who has been to Colombia, you’ve probably heard more about the touristic appeal of visiting Medellín over Bogotá, and I would have to agree on this fact. Medellín is much smaller and more manageable to see, has less “big-city crime”, and the public transportation makes it easy to get around and explore. TRAVELERS TIP: Do not walk around alone, at night, in idle areas or streets. I have heard of a few encounters of close friends in Bogotá that no traveler would not like to experience. Moreover, when I arrived to La Candelaria (the Old City, and a highly recommended area in Bogotá for staying) at around 11pm, my taxi driver would not let my friend and I walk even one block by ourselves, he urged it was too dangerous. This fear was confirmed by the guy who checked us in. I met several locals or people who studied in the city who confirmed it’s a good city to live in, but not a whole lot going on for tourists. 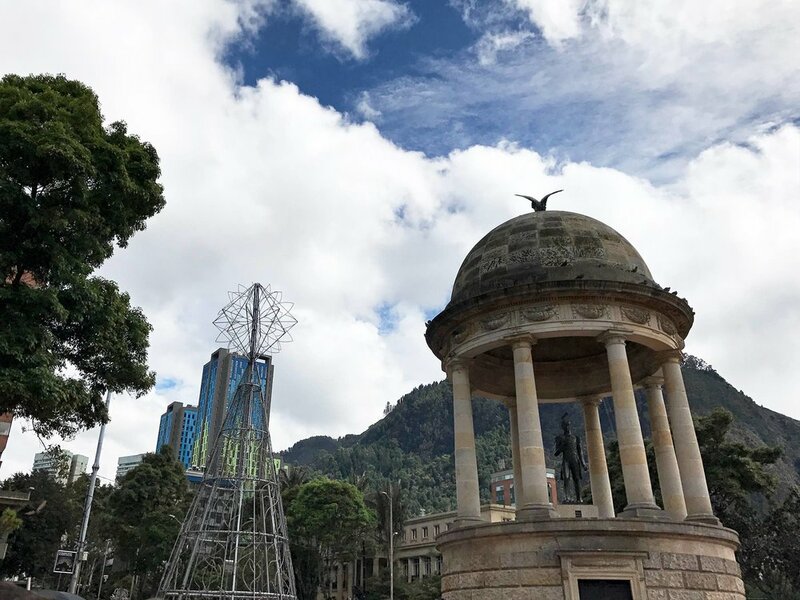 Yet, chances are when you fly in or out of Colombia, you will go through the capital of Bogotá, which often offers the cheapest or most convenient flights. Although you might be tempted to skip Bogotá all together, I believe it’s worth visiting (almost) every place to forge your own opinions. 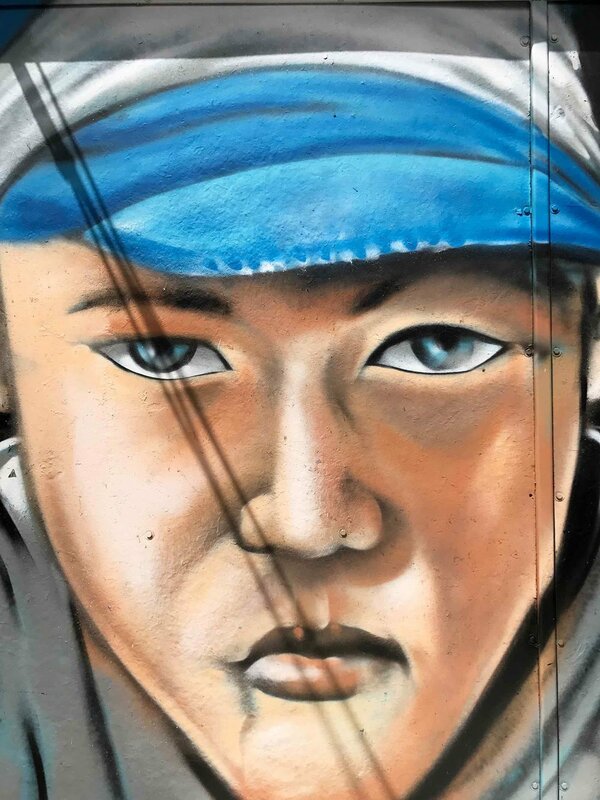 When I visited Bogota in January of 2018, one of my favorite aspects of the city was the graffiti. 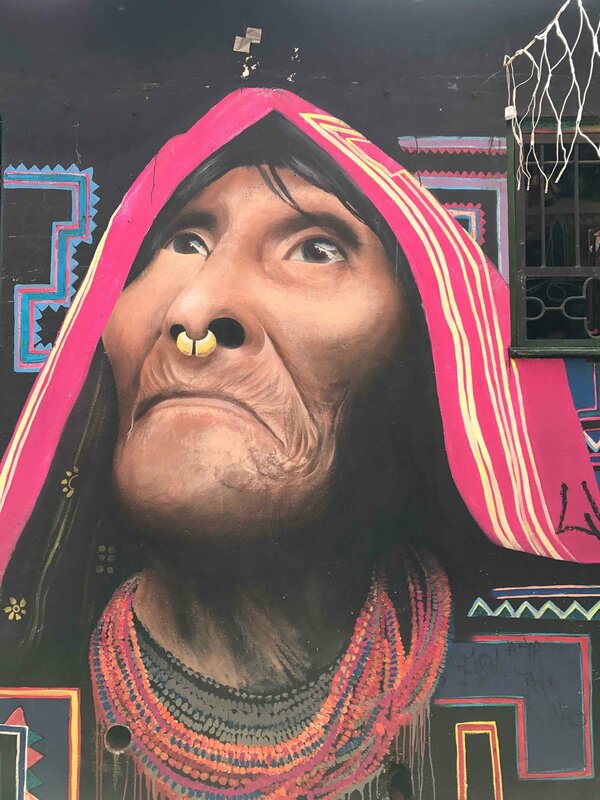 While most cities around the world frown upon street art, considering it vandalism and penalizing graffiti with fines or even jail time, Bogota has a more relaxed view. The city’s permissive attitude allows artists to spend more time on their painting, resulting in more thoughtful, detailed, and intricate pieces than found in other cities such as New York or London. Thus, leading to Bogotá being a center for global street art talent. 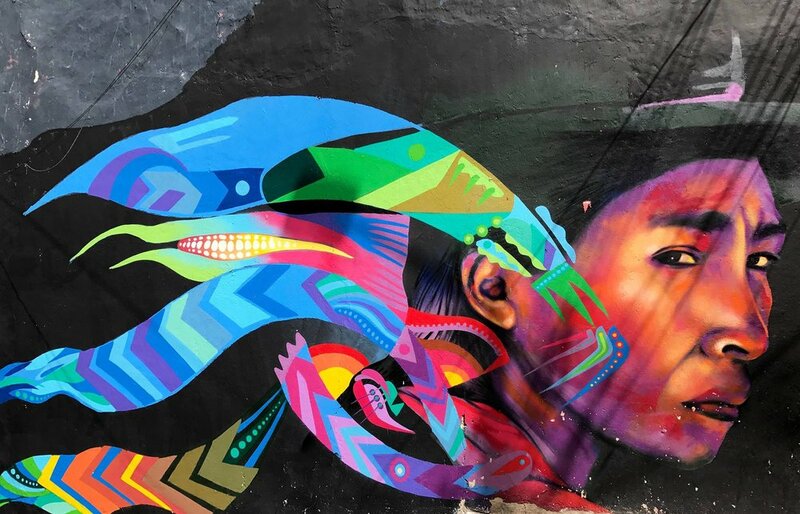 The walls of Bogotá are covered in complex tags and elaborate mural, making this city one of the world’s trendiest showcases of modern street art. Much of the art is simply decorative versus political statements. Some business owners even commission graffiti artists to paint their walls, which tends to protect them from the scribblings of lesser artists as the rule is if you can’t paint something more beautiful than what’s there, don’t touch it. Bogotá Graffiti and Street Art Tour was started by Australian street artist Crisp was inspired by the cities' works after he moved to Bogota in 2009. The donation based tour meets twice daily (10:30am and 2pm) in Parque de Los Periodistas in La Candelaria. 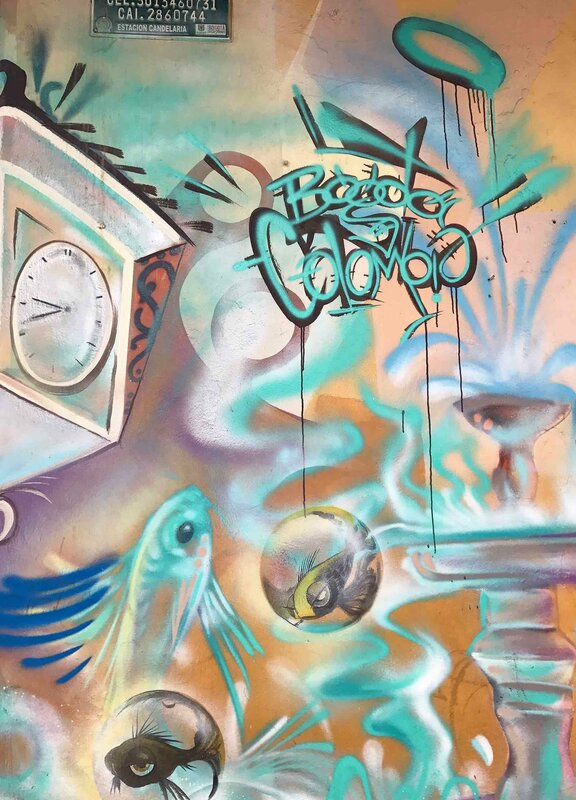 While in Bogotá, don't miss this graffiti tour. Enjoy! Alternatively, there is a Bogota Graffiti Bike Tour offered in which you view the street art by bicycle, allowing you to cover more ground. In addition to a graffiti tour, we highly recommend visiting Monserrate, the highest point in Bogotá at above 3000m (9850ft), going to Parque la 93 for restaurants and shops, and grabbing a beer at Bogotá Brewing Co. Considering Bogotá as part of your Colombian journey? Contact us to plan a one-of-a-kind vacation created specifically for your unique preferences.